You know we are heading into Autumn/Winter when the liquid lips start landing on our desk. It seems as the weather turns chilly and the evenings get lighter we like a comforting veil of makeup that won’t require any extra effort on our behalf. Why would we want to take our hands out of pocket on a cold train to touch up our lips? 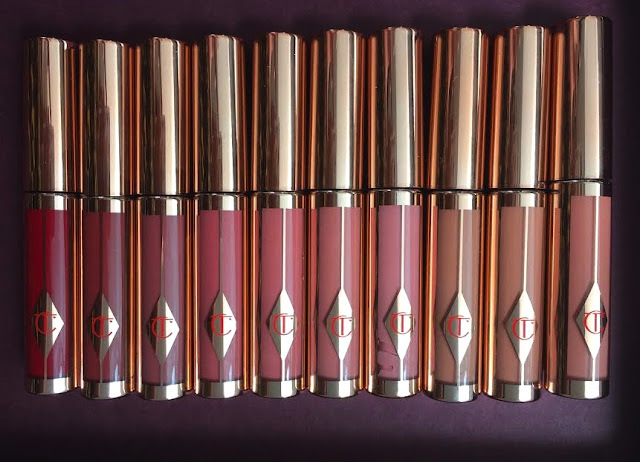 Charlotte Tilbury’s products are now a firm staple in our makeup bags, we love the brow products and powders and now Charlotte has launched her Hollywood lips range to complement her already stellar lip line up. The liquid lips shade line up is complementary to the already existing shades we know and love from the range. A blend of apricots, berry and teeth whitening red! 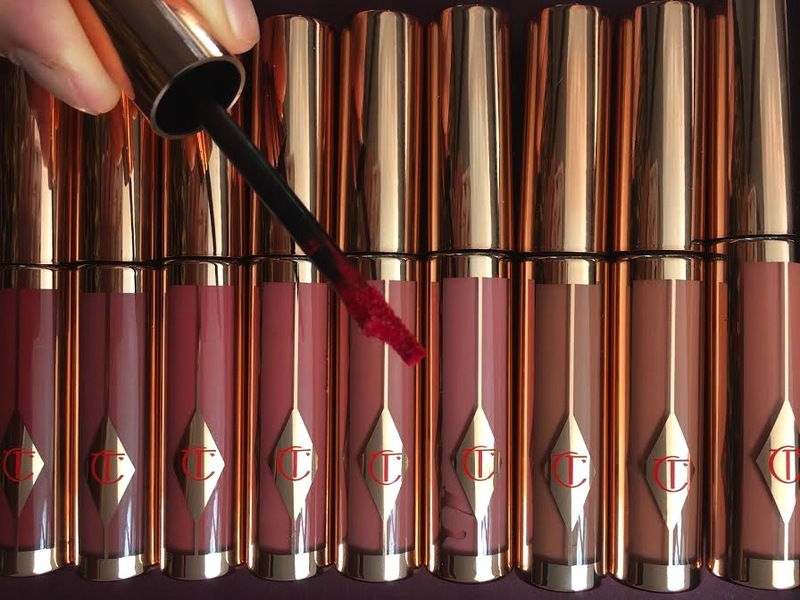 The texture on initial application is very thick and the product collects in blobs of rich pigment similar to the texture of thick whipped cream. To avoid product overload you need to swipe the excess off. The wand really is magical. 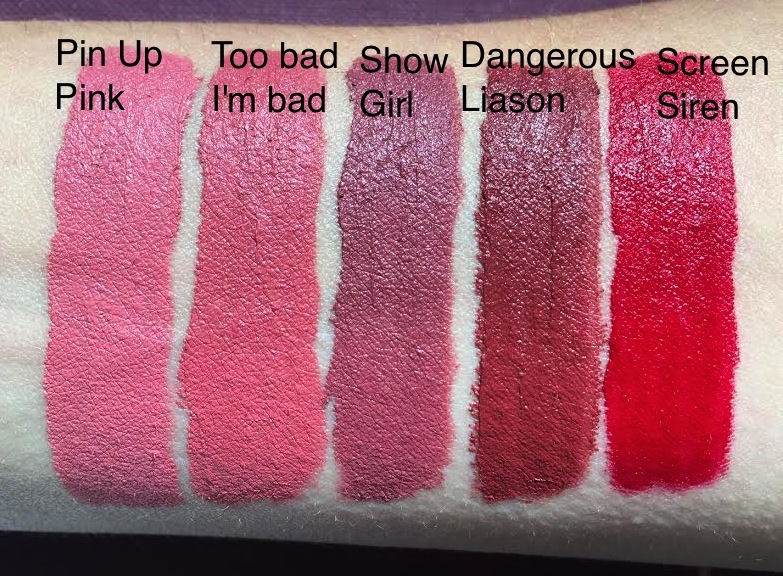 It’s crescent shaped with a firm tip to allow you to apply colour with accurate precision and glide the product over the lips easily without drag or patchiness. Pigment pay-off is insanely good and one swoop covers well with a comfortable veil of colour. There is a good amount of playtime and you won’t find it impossible to move around on the lips. Reswipe the wand over to build the boldness and purse your lips to ensure it squishes into all the crack and crevices. Once dry it feels matte but doesn’t look flat. There is a slight satin finish but the texture makes it very long wearing and totally food and drink proof. It doesn’t bleed out of the lip line but it does settle in the natural lip lines. As you wear it through the day it naturally and softly fades rather than breaks down and separates. Not as moisturising as others I have tried but you can lick your lips safe in the knowledge it won’t budge. Contains Sea Lavender (who knew!) 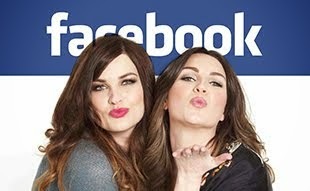 which acts as an anti-ageing active ingredient which is also collagen boosting and soothing on the lips. It also contains Beeswax to act against moisture loss. 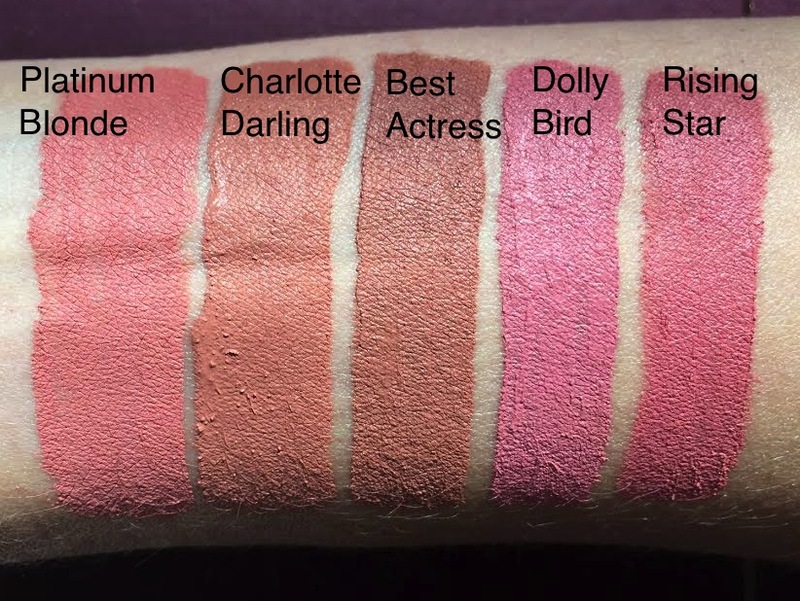 Nice array of 10 shades to suit all and is priced at £23.00. Get hold of one here. 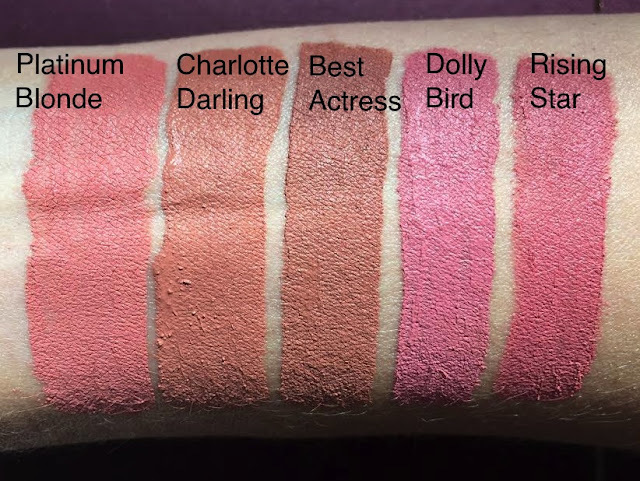 I LOVE charlottes hollywood lips range, they are really creamy my favourite shade is charlotte darling. Great Post.